Immediate freaking download of this totally wafer of an album in its entirety in your choice of 320k mp3, FLAC, or just about any other format you could possibly covet. Buy this thing on CD Baby. 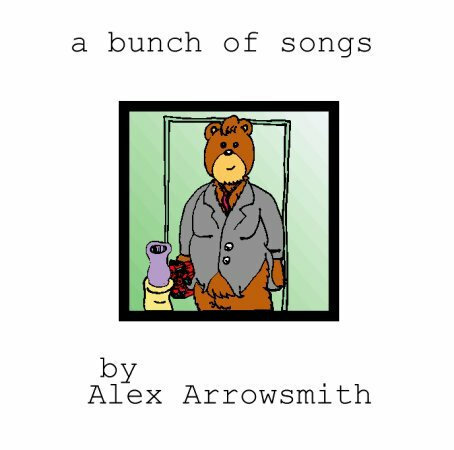 In 2002, Alex went nuts in his seedy apartment in Gresham and recorded a bunch of songs, about half of which ended up becoming the 31-song epic A Bunch of Songs. 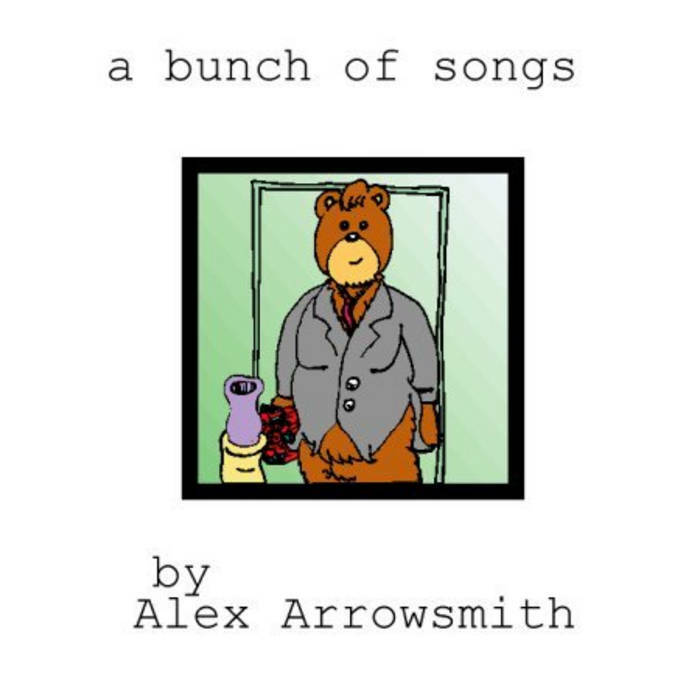 It ranges from goofy indestructable pop songs (“Surgeon,” “Beard Down To Here”) to goofy non-songs (“Charlottes Web,” “Keep That Rope Taut”) and back again (“Sports Fright,” “So Long Mrs. Wong”). Many of the songs sound like inside jokes, but let me assure you, they are not. It is just Alex exploring the limits of human incoherence. But despite this pretentious aim, it is a truly fun album to listen to with your pets at 3 AM. Note: respect the bear. Fear it. Love. It. 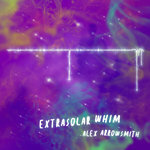 Recorded by Alex in generous spurts from January - August 2002. Mixed by him too. 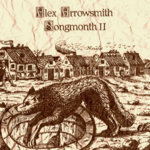 All songs were written by Alex for Alex to use on this very work of album. 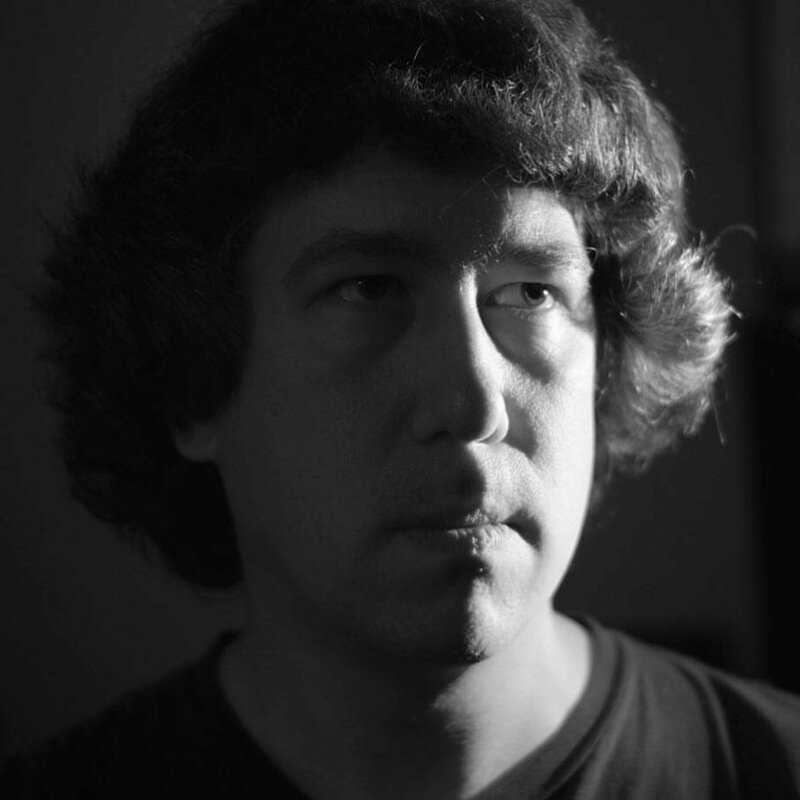 Colleague and professional collaborator Mayhaw Hoons lends his vocal talents to the Chee's Chocolate phenomenon. Art by extreme leftist Joe Keatinge. Layout design by Alex. 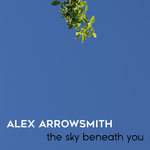 Go to the internet: www.alexarrowsmith.com for words to read. 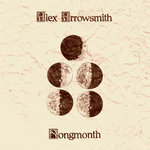 ©2002 Alex Arrowsmith Music Publishing (ASCAP). This is an Ectoplasmic Record. EPCD2.